In August of this year, I published an article that made two points on Blogger and WordPress. In short, I stated that Blogger had the pro of being owned and run by Google while WordPress, in terms of a business perspective, sold better. I will have to be honest that since then, I have started up and created a dozen or so websites – two of which are with Blogger and three of which are with WordPress (while maintaining some in Blogger and WordPress too). Before you ask, yes, it is knackering maintaining and contributing to so many websites! But, at the end of the day, I enjoy it! From having much more experience with both platforms, I think now is a good time to update you all on my verdict of the two blogging platforms and, as the title says, I am still unsure. It has a lovely UI that is clean and easy to use. The features WordPress offers is great. However, to get full access to it all requires you paying a lot of money to WordPress. Hosting, I found, was an unnecessary problem. I love using WordPress compared to Google’s Blogger. But, the two biggest problems was the cost and hosting. In terms of cost, you can create a website for free – the problem that the features you get are extremely limited. In order to get all the features, you will have to pay a monthly renewal or yearly. Compare this to Blogger, which is free, for someone that wants to start a website and run it for as cheap as possible and then sell for a profit, this is not the best of news. Then there is the hosting. I understand that Blogger offers free hosting that is owned by Google and that many bloggers want their own hosting so they have complete control of the content they publish etc. However, the cost of hosting is just another cost I have to add to a website that will not make any money in months. 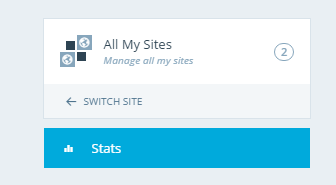 As well as this, the hosting I chose which was around $30/month only managed to cope with 50,000 visitors/month – I am slightly worried that my website might crash after that! Share your comment 6 responsesTO Blogger vs WordPress – I am Still Unsure…. I will never recommend blogger.com to anyone into internet marketing. Google have deleted a couple of my blogger blogs because they said i had advertisement on them such as banners etc. blogger is always best if you are getting traffic in a 5 or 6 figures regularly. and in terms of features and addons wordpress is best.